INIT Innovations in Transportation Inc. is set to break ground on their new 70,000 square foot North American Headquarters building in Chesapeake, Va., this week. The facility will be constructed on an eight-acre parcel of land inside the Oakbrooke Business and Technology Center and will eventually house INIT’s growing office staff, their two manufacturing firms and a large warehouse. 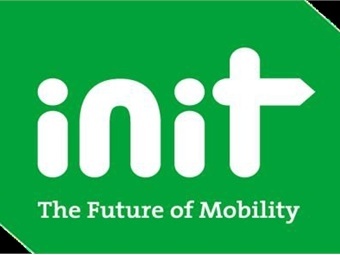 Since 1999 when INIT established its North American headquarters in Chesapeake, the company’s evolution as the worldwide leading supplier of intelligent transportation systems for public transit has been advancing. In 2006, INIT predicated the opening of Total Quality Assembly LLC (TQA) — its first cable manufacturing facility for the North American market. Just four years later, a second manufacturing firm, Superior Quality Manufacturing LLC (SQM) was launched to produce specialized electronics using skills in THT (Through Hole Technology) and SMD (Surface Mount Devices). New business has further solidified INIT’s success as an industry leader while confirming their resolve to remain in Chesapeake where their roots are firmly planted. At the beginning of 2016, INIT announced a partnership with Hawaii, Florida and Michigan on three different state-of-the-art electronic fare management projects. From their new headquarters, the company hopes to continue growing and building the trust of even more customers in the years ahead. Once completed, the headquarters building will feature 20,000 square feet of office space; 30,000 square feet of warehouse space; and 20,000 square feet of space dedicated to the company’s two manufacturing firms, TQA and SQM. The new building is scheduled for completion in June of 2017 and will cost approximately $12.5M for build-out. Whiting-Turner Contracting Co. of Chesapeake is the project’s general contractor.